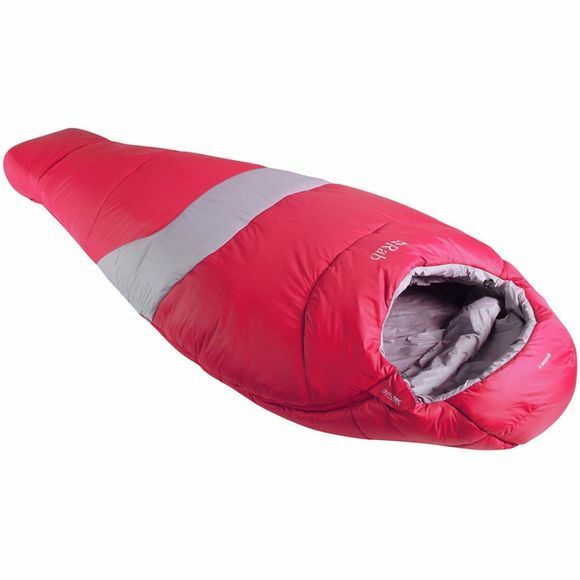 The Men's Ignition 5 from Rab is a lightweight, synthetic microfibre insulated sleeping bag designed as a highly packable option for year round use. The Ignition 5 provides the highest levels of warmth without compromising on light weight or packability. Designed in mummy taper shape with tough and durable ripstop fabric, as well as technical features including anti-snag webbing tape and YKK zips throughout, the Ignition 5 is ideal for year-round, outdoor use, providing extra warmth while staying low on weight.